Asbury Park Complete Streets Coalition has a vision of a network of bike lanes connecting every neighborhood of the city. 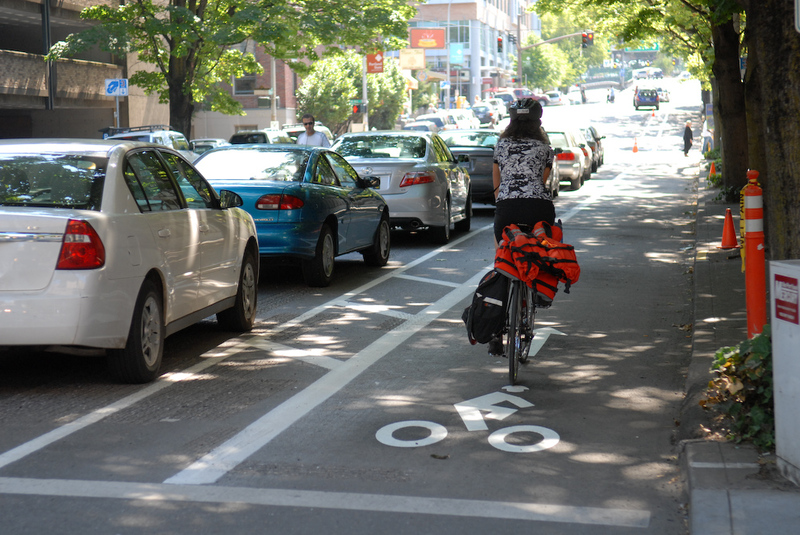 It won’t happen overnight, but let’s think about how we want these bike lanes to function. 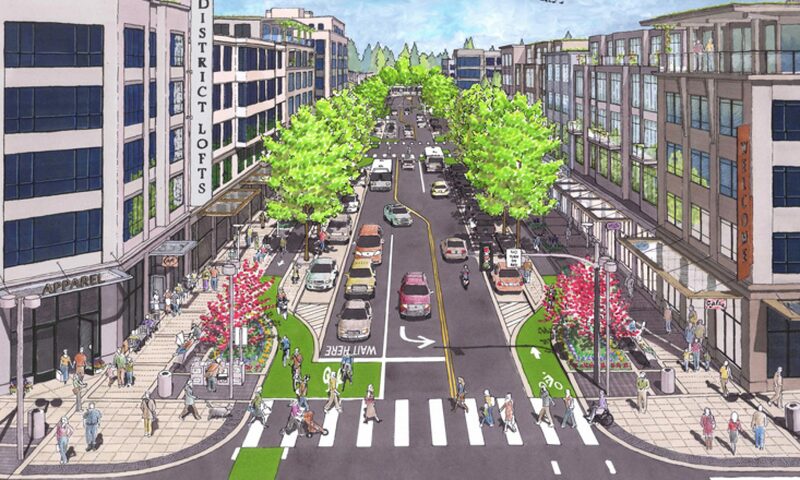 We can learn from cities like Portland that are a few years ahead of us in designing for bikes. See if you can identify the same configuration as Asbury Park’s Main Street. One of the (many) reasons for the slow implementation of protected bike lanes is that engineers, planners, and project managers at the Portland Bureau of Transportation haven’t been reading from the same book. In fact, they haven’t even had a book. Until now.Portland has been talking about physically protected bike lanes for years. The problem is, we’ve mostly just been talking — and not building. And when we have built them, the designs have been inconsistent. Last week PBOT’s bicycle program manager Roger Geller shared a sneak peek at a new manual that will soon be adopted as the official Portland Protected Bicycle Lane Design Guide.